In the evolution of any type of equipment there comes a time when new versions of the original model are developed, creating a market for equipment that, while still useful, gets turned in when the owner decides to upgrade. 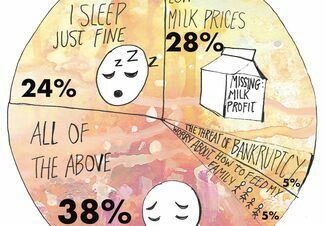 Such is the situation with milking robots. Since the first robots were installed in the U.S. in the late 1990s, robot manufacturers have continued to innovate. 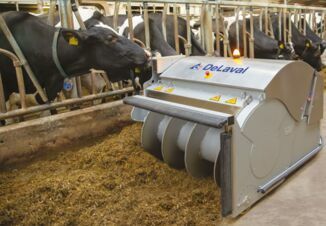 Both Lely and DeLaval launched new versions of their standard robotic milking units, and GEA has several rotary robotic milking units now operational in the U.S.
As technology evolves and new models are launched, producers who want to upgrade to the latest technology need to get value from existing equipment. That’s where the used market comes into play. “Our secondary market is growing quickly,” says Chad Huyser, vice president of North America for Lely. He says the dealer-driven used market creates a different paradigm for both the corporate and individual dealer businesses. Dealers have to now manage inventories of used equipment, while also refurbishing equipment that needs repair. At the same time the dealer has to establish a trade value amicable to the dealer and the previous owner. “We are finding that used robots can hold anywhere from 50% to 75% of their original value, depending on age, condition of equipment and other factors,” Huyser says, which is good news for the owner who wants to trade in a robot on a new model. If maintained properly, robots have a relatively long lifespan. Still, the condition of the robot is something to take into consideration when buying a used robot. According to Baumgartner, if producers aren’t as familiar with what to look for when evaluating a used robot, he encourages them to pull in external resouces for evaluation before making a purchase. When a producer goes to their lender for a loan on a used robot, Huyser says the conversation with lenders around used equipment is generally the same. Loans on used equipment can be different, Baumgartner says, due to the length of usefulness of the equipment. More producers, especially large dairies, are looking to robots to help alleviate the challenges with finding and keeping a stable labor force. Even as producers struggle through a difficult economic situation, sales of robotic systems continue to grow. 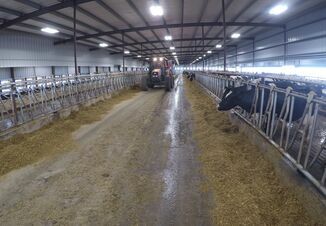 As more used equipment becomes available, more dairy producers can get into robotic milking.